Quickie outfit post. 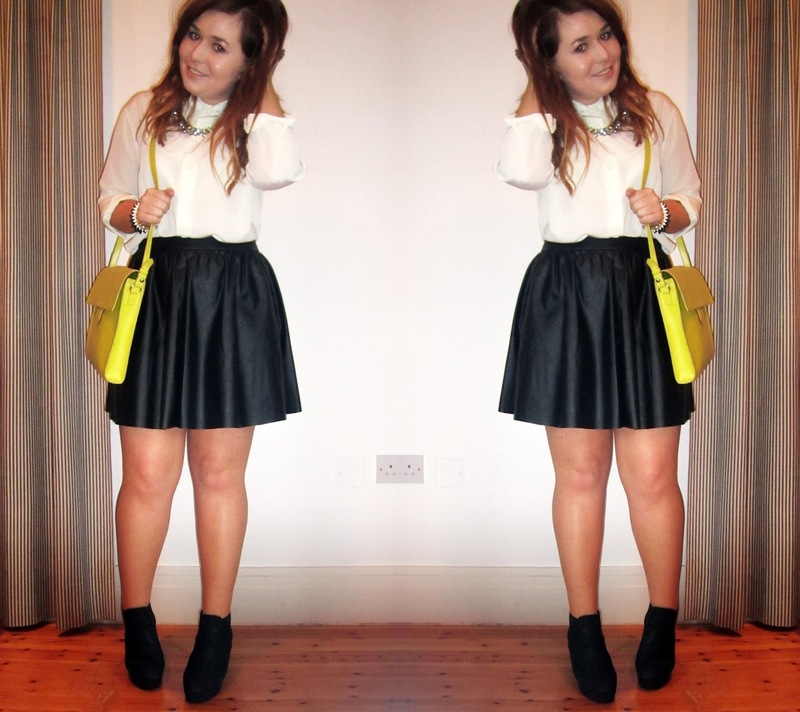 I'm crazy about my Topshop leather skirt. I've seen so many cheap knock-off faux-leather skirts about the place but this is serious quality. Love it. I'm currently debating what to do for St Patrick's Day. Sligo is tempting me. . . Very cute look! Love the bag! Definitely going to have to take a trip into Penney's soon to pick up a necklace like that! I just got myself a neon satchel too! !